But what, exactly, is the whole thing about? And, more to the point, is the fandom’s rage over it justified? To start with, it’s worth giving a brief recap of exactly what Equestria Girls is and the information about it that came out leading up to the trailer for it that appeared over the weekend. To go all the way back to the origin of the title, you’d have to go back to the end of the first season of My Little Pony : Friendship is Magic. 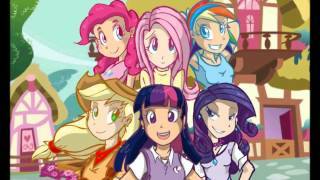 Shortly after the season finale, The Hub (Hasbro’s cable channel on which the show airs) aired an ad for the series that included a small snippet of Pinkie Pie singing a spoof of the Katy Perry song “California Girls” using the title “Equestria Girls”, with scenes of the show appearing in the background. The spot was explosively popular within the brony community, and The Hub eventually released an extended version with a more complete version of the song, which included a specific shoutout to the brony community within it. Not long thereafter, a fan site popped up, using the domain name equestriagirls.com, which consisted solely of the song played on a constant loop. This site remained up until early 2013 (towards the later half of Season 3), when Hasbro had the site pulled down for what at the time was seemingly no reason at all. Brief research amongst the news sites found that Hasbro had trademarked the title, and the brony community nervously waited to see what would come out of the trademark. Shortly following that, news came out that Equestria Girls would be a spin-off franchise marketed to an older demographic than Friendship is Magic was targeted at : specifically girls in their tweens, to compete with the likes of franchises like Bratz and Monster High. The brony reaction was predictably negative in response to the news, although without any real information about the series, it soon slipped back under the radar. That wouldn’t last long, as more news emerged regarding the spin-off. It would be a one-off movie release with limited theatrical showing which would star the ponies in human form attending high school. Marketing concept designs began showing up at around the same time, and the fandom’s reaction kicked up into a frenzy once again. The show’s writers and animators attempted to get out ahead of the brony backlash, assuring the fandom that the movie would have no actual impact on the main series itself, and that the upcoming Season 4 of Friendship is Magic would be totally unaffected by it, and while that placated some, others continued to rail against the idea, claiming betrayal from Hasbro and declaring the franchise ruined. More information continued to emerge. The movie would feature Twilight Sparkle, tasked with retrieving a stolen crown, crossing into an alternate world to chase down the thief. Upon arriving in the other world, she would find herself transformed into a teenage human girl, and both have to cope with the change while attempting to find the thief, all the while having to deal with “normal” high school life. The most recent peek into the movie came over the weekend, with an official trailer making the rounds on the internet. Oddly enough, reaction specifically to the trailer from the brony community was considerably more mixed than previous news, with reactions ranging anywhere from surprisingly pleased with it to raging against it harder than ever, and the community currently appears to be very split on the movie’s existence. To be blunt, there are absolutely problems inherent with the movie, starting with the character designs themselves. The easiest to peg straight away is the body image problem that comes along with converting the ponies into human form. While some of this can be attributed to style and shrugged off, it’s still at least somewhat problematic. All of the main characters (and from the looks of the trailer, all of the characters in general) are pretty and super thin (to the point that their waists are about even in size with their necks), and while race is somewhat side-stepped due to the candy-colored skin tones being carried over from pony form, it’s not a far leap at all to assume that all of them are more or less caucasian equivalents. On its own, this would be a big enough issue, but given that the IP is attempting to essentially compete with the fashion doll “genre”, it brings up the larger overall issue that this is incredibly par for the course for the industry. It’s not even that thin, pretty caucasian-esque characters are in themselves bad, but when the entire cast (and an entire industry) is populated with them in such an overwhelming proportion, there’s a bit of a problem there. Hand in hand with this issue comes the fact that the fashion sense of all of the characters appears to be nearly identical. This is another issue that the fashion doll industry suffers from overall (ironic, considering that toys of that nature are focused so much on fashion and clothing), but on an even deeper level, this presents an issue regarding the characters themselves. Tomboyish Rainbow Dash’s clothing choice isn’t that far removed from fashion queen Rarity’s, to the point that you could easily believe that both outfits were purchased within the same line of clothing, possibly even on adjacent racks within the store they got them from. That isn’t to say that a human Dashie can’t (or wouldn’t) wear those sorts of clothes, but for all of these characters with their spectrum of personalities to be dressed near-identically to each other sends a message antithetical to the one Lauren Faust intended to send with the series when she got involved with the reboot, that there are many ways to be a girl and all of them are equally legitimate. A more minor but still worth mentioning note is the treatment of Spike, Twilight’s young dragon assistant, who’s human-world equivilant appears to be a dog that human-Twilight will have as a pet. Considering that within the main show he’s been an equal to the rest of the cast and also having something of a younger brother/older sister relationship with Twilight (it could and has been taken further and seen as a son/mother relationship), for him to be relegated to the role of a pet is fairly disconcerting, especially when he could easily have been humanized himself and filled the same role he always has. To be fair, we still don’t know all that much about how things will play out (from the looks of things, Twilight is the only one to actually cross over into this alternate world, and the others are all simply alternate universe versions of their pony counterparts), so it’s difficult to actually pass full judgement on this point just yet. The trailer thankfully showcased that the character designs in the movie itself are markedly different from the marketing previews, and while the above issues are not subverted in their entirety, they aren’t quite as profound. The characters aren’t all bathed in makeup, and the clothing issue even seems to be lessened a bit (although they’re still ridiculously limited in their fashion range, at least Rainbow Dash’s outfit comes off as slightly more sporty in animation), and overall the designs feel more far more tolerable, and I have to admit that I actually find them pretty adorable. It’s also worth noting that the movie is being headed by more or less the same team that have been working on the show as of Season 3, and the trailer seems to showcase that the level and style of humor is still there (there’s a scene where Twilight attempts to eat an apple by slamming her face into it, still presumably unused to the concept of having hands). Opinions on Season 3 are mixed amongst people, but it’s generally agreed upon that the writing staff is at least competent, and at least personally I’m more than willing to leave a setting and story like this in their hands to see what they can make of it. There’s a potential problem that arises with the setting and the story, in that it’s very standard fare for girls’ programming. The synopsis gave the initial impression and the trailer seemed to confirm that we’re heading into typical high school drama, prom queen competition, and boy issue territory (the latter of which is the most potentially volatile and has to be handled the most carefully). While all of these can be rife with problems, all three of these things have been done well when in the right hands (looking squarely at Buffy as having nailed all three, but it’s definitely not limited to that series), and to write off the movie based solely on the subject matter is something of a betrayal of another tagline Lauren Faust brought on board with the reboot, that a storyline or subject being stereotypically “girly” has no bearing whatsoever on its quality. Remember, Season 1 had episodes with stories centered around sleepovers, fashion shows, cliques, and fancy dance parties, all very standard “girls show” subjects. The movie’s subjects are no less legitimate than anything the main series has brought us up to now, and have just as much potential to be handled well. Everything depends on the writing, and the writers involved have it in them to deliver. Whether or not they do is another story entirely, but I think it does deserve a chance. Regardless of whether or not the team manages to deliver on the concepts, the fact remains that Equestria Girls isn’t that big of a deal in the larger scope of the series. It’s been stated flat out that the movie will have no impact on the main series whatsoever, and the character who appears to be shaping up to be the villain of the movie is also not going to show up at all in Season 4 according to the writers. The canon-ness of the movie is somewhat up in the air, but even if it’s considered “canonical”, it’s very much a side story that can be completely ignored without any real consequence. To that end, it doesn’t really matter all that much whether or not it does come out any good or not, because collectively we can all just shrug and pretend like it never happened if we really need to and not miss a beat. I’d be lying if I said I was completely on board with this idea. I’ve been on record as saying that I’m not particularly fond of humanizing the ponies, and I don’t think the high school story is something that needs to be told within the series (I’ve always considered the ponies to be past high school age anyways). Ironically, both of these were opinions I had formed before Equestria Girls was even a thing, because the fandom beat Hasbro to both concepts by a long shot. Bronies have been humanizing the ponies since the beginning of the fandom (sometimes doing a far better job of it than Equestria Girls is doing, and sometimes far worse), and there’s several “put the ponies in a high school setting” fanfics and fan-comics out there that I know of, and probably more that I don’t. Hell, even the concept of humanizing them at the same time as putting them in high school has been done by the fans already. To act like Equestria Girls is Hasbro violating some core part of the series on specifically that basis is silly. If that’s true, bronies violated it themselves long ago (and have quite frankly come up with far worse ideas). Something I’ve noticed as a constant within the community is that bronies are incredibly good at panicking and declaring the end of the franchise. Ever since the end of Season 1, there’s been a very palpable fear within the community that the franchise would eventually return to its pre-G4 roots, and I think that has a lot to do with the overreaction to Equestria Girls. To quite a few bronies, the movie’s synopsis and the early preview pictures appeared to be signaling a reversion back to something they weren’t familiar or comfortable with. The trailer, in my own opinion, seems to dispel that fear quite a bit, but a lot of people have already made up their minds. I’ve heard the movie described as “nothing but a blatant cash grab” by fellow bronies. Does the term apply? From a certain perspective, absolutely. The movie is being made to appeal and sell to a specific demographic, and in that regard, yes, they’re doing it to make money. But you could easily apply that same logic to other My Little Pony products and it would fit just as easily. The iOS game and the comic series were ostensibly made with the brony community as a target market (the comic series was deliberately made to sell to the brony community, and while the iOS game had a larger audience the brony community was the most likely to pour money into it). They were just as much cash-ins as Equestria Girls is, and while neither one has been without some detractors, there hasn’t been anywhere remotely close to as much outrage over those “cash grabs”. So what’s the message there? Cash grabs are bad, unless we’re the ones being sold to and then it’s okay? To be frank, this movie isn’t for the bronies. They can come along for the ride, and there may even be tidbits thrown in there for them to grab hold of, but it’s targeting a different demographic entirely, and quite honestly, there’s nothing actually wrong with that. Here’s the thing : that’s never not been the case. With the exception of the comics, the brony community has never been the target demographic of the franchise. The franchise has always been marketed as a “girl’s show”, and while an awful lot of bones have been thrown the bronies’ way, at it’s core the show has never stopped being for the target audience. It hasn’t stopped bronies from being able to find something special in the series and the fandom from existing in the first place, and I honestly believe the movie at least has the potential to be no different. Ultimately, my stance on the movie is the same now as it always has been, namely to withhold actual judgement on it until there’s something there to fully judge. I’m not a huge fan of the basis of the movie itself, but especially looking at what the trailer had to show us, I’m willing to give it a shot. It has its problems, and I don’t think they should be ignored, but at the same time the movie has a chance to be at least mildly entertaining and, dare I say it, possibly even good. And honestly, if the worst case scenario comes about and it’s as mind-bogglingly awful as people are convinced it will be, the bronies can just block it out of their minds and pretend it never happened. They certainly wouldn’t be the first fandom to have done that sort of thing. 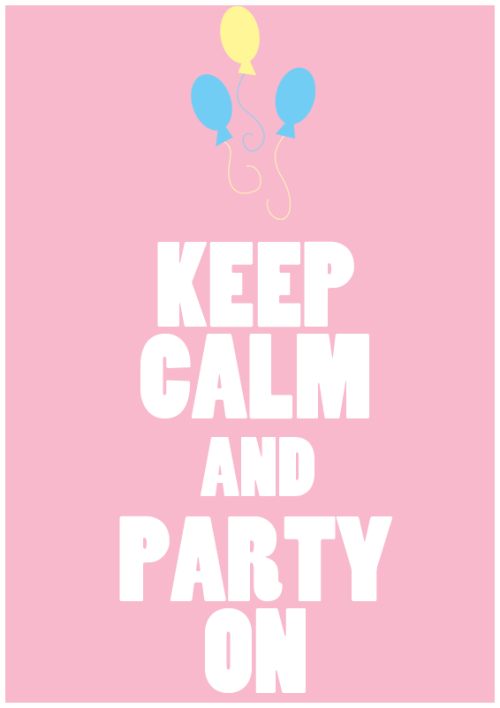 tl;dr – Keep calm and pony on. Best case scenario, the movie is enjoyable. Worst, we ignore that it ever existed and life goes on. This entry was posted in Editorials and tagged author: tessa jerz, equestria girls, movies, my little pony, television by Tessa. Bookmark the permalink. I couldn’t agree more. Good luck getting some Bronies to listen though, because sadly some of them are beyond reasoning with on the subject at this point. I first learned of it’s legitimacy when I saw the trailer. Initially I was very upset. I saw “Typical high school prom night story” written all over it. later on, I caught better glimpses of the true synopses. with the crown being stolen and all. It gave me a little more hope for it. After a few people sent me some reassurances (most in the form of images about the end of season 2) I have decided to give the Movie the chance it deserves: with some real hope for it. I’m curious, what is it about the movie that’s so bad? There are certainly issues (I went over several, but it’s very possible that I’ve missed some), and it’s far from perfect, but then, you could say (and people have said) similar things about stuff in the show itself with it not meaning the end of the fandom. I’m not trying to be snarky here, I genuinely want to know. I think it’s a conversation worth having in full and I fully admit my opinion of the franchise tends very much towards the optimistic end, so I’d like to hear the opposite argument. I just have yet to hear much in detail about why the basis of the movie is at a fandom-destroying level. I actually quite enjoyed the movie. I admit the high school prom thing was kinda cliche, but they still handled it really well. The human models of the mane 6 and everyone else looked pretty cool to me and (spoiler alert if you havent seen the movie yet) the defeat sequence was epic but I thought they kinda copied it off sailor moon but still handled and executed it very well. Also even though you said the movie would have no impact on the main series (another spoiler alert if you havent seen the movie yet), what will they do about the twilight and flash sentry thing? After what happened at the end they can’t just push that aside and never speak of it again. It’s been confirmed that Flash Sentry isn’t going to be a character that shows up in Season 4 at all, and also that the movie does take place between seasons (so it’s not something like the movie’s events taking place after the end of the series), so it does sort of look like this was an isolated incident that the series is just going to move on from and aside from maybe a spoken reference somewhere, there won’t be any real permanent impact from it (aside possibly from Twilight’s boosted confidence about her new position that the movie’s adventure gave her, but even that was pretty self-contained within the movie and so you’re still not missing anything crucial by not seeing it, I’d guess). Flash plays such a small part in the overall movie in general that I almost wonder if he was a bullet point the team was required to include in the story and they worked to make him as unobtrusive as possible (you could easily cut him out of the movie entirely with next to nothing changing in the story, the one important conflict he resolves could easily have been filled in with another character). Also, I’m glad you enjoyed the movie! I saw it the day it released in theaters and loved it (I did a full review on this site after I saw it). While I kind of thought the final confrontation sequence was one of the weakest parts of the movie, I loved the Sailor Moon vibe it had going for it. Overall the whole thing was just oodles of fun and I’m actually considering trying to make it to another showing.